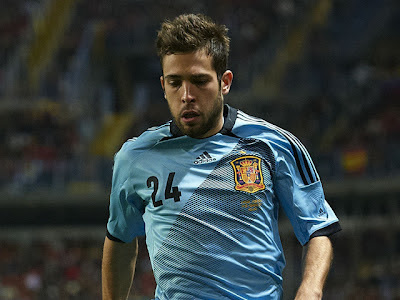 FC Barcelona management has confirmed that they have everything in place to sign the Spanish left-back, Jordi Alba from his club Valencia as soon as the player return from International duties. It was rumoured that Barca had a deal to sign the player even before the Euro 2012 started. Now it looks like a very good thing as hi performance in Euro naturally should have upped the price a lot. Barca will pay 14 Million Euros for the rising Spanish star, who once was a member of Barca youth team. It is not clear how the payment is structured. Barca were actually willing to pay only 11 Million Euros and it looks like we will be only paying 11 million now and will pay 3 million as bonus. Jordi Alba is expected to sign a deal which will tie him with the club for the next five years. It's official, finally! 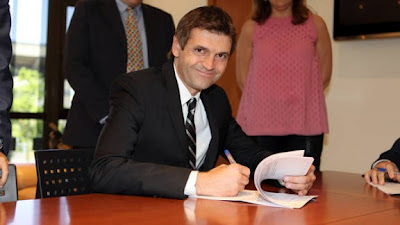 Tito Vilanova has been officially signed as the manager of FC Barcelona and he has been given a two year term. He has been identified as the successor for Guardiola for sometime, but the signing of that went into big trouble. Actually in the past two weeks there were rumours of Barca looking for other options. But finally everything fell into its place and hooray, we now have our coach. Tito's first official game in charge will be the super cup against Real Madrid. Eventhough he is suspended for the first leg (suspended because Mourinho poked the finger into him), there is a chance that he will make it for the first leg. Actually RFEF is worried about the prospect of Mourinho missing the Super Cup first leg that they are all ready to waiver the punishment. Yet another eventful season has come to an end and it's that time when we take stock of the performance of the season goneby. FC Barcelona's 2011-12 season went through a lot of twists and turns, and ended with Guardiola era coming to an end. Guardiola, eventhough has not ruled out returning to the club but that does not look like possible in the near term. 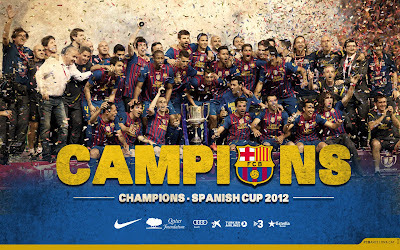 Some Cules may argue that the 2011-12 season wasn't a success as far as the club is concerened. I beg to differ, winning four trophies in a year is a huge achivement, above all playing a brand of football which almost re-defined the way football is played, taught and followed is a hallmark of a very succesful season. I would go as far as saying that - this season under Guardiola provided the blueprint of how good this team are and how good this team can become. Yes, we may not have won the biggest two trophies of the season - La Liga and UEFA Champions League, but winning two Super Cups, the World Championship and the Copa del Rey title should be considered as a very excellent season. 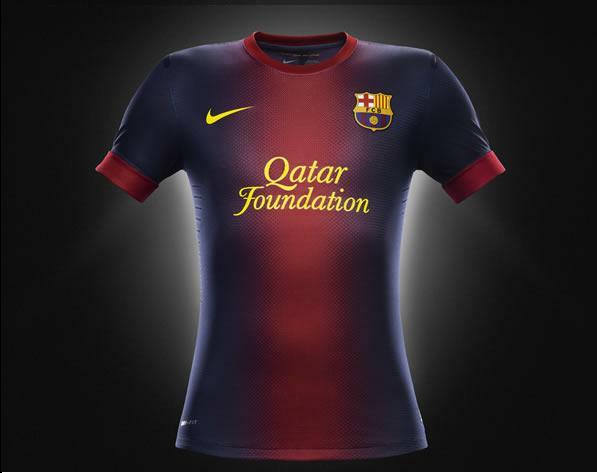 New Barca Jersey for 2012-13 Season, Is This the Worst ever? As you all know the club ceremoniously unveiled the new Barca Jersey for the season 2012-13 in grand fashion some days earlier. Catalan based media, especially Sport.es went over board with the jersey claiming that "the blue and dark red bands don’t have any limits … like Messi’s talent" in the cartoon corner. But all across the internet among the Barca fans, the trending topic or question was - Is this the worst ever? From the time the first leaked pictures came, every Cule has been praying those to be fake. But with the official unveiling those fears came true. The club claims that the design is ground breaking, but a look at the Gradient tool in Adobe Photoshop will show you from where the idea came from. Even though I am disappointed seeing the jersey, but have to admit that it looked a bit better than this version of the rumoured jersey.